Fish have memories, and can be taught to perform tricks, according to Dr. Mieczyslaw Oxner, ichthyologist at Europe’s oldest aquarium, in Monte Carlo. 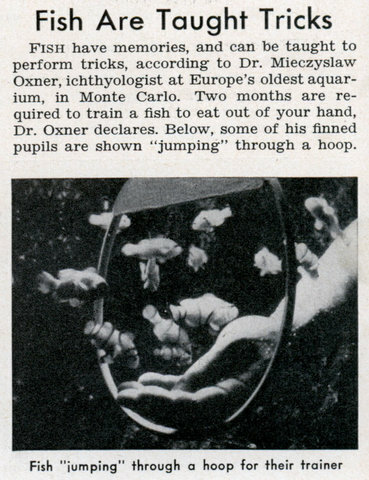 Two months are required to train a fish to eat out of your hand, Dr. Oxner declares. 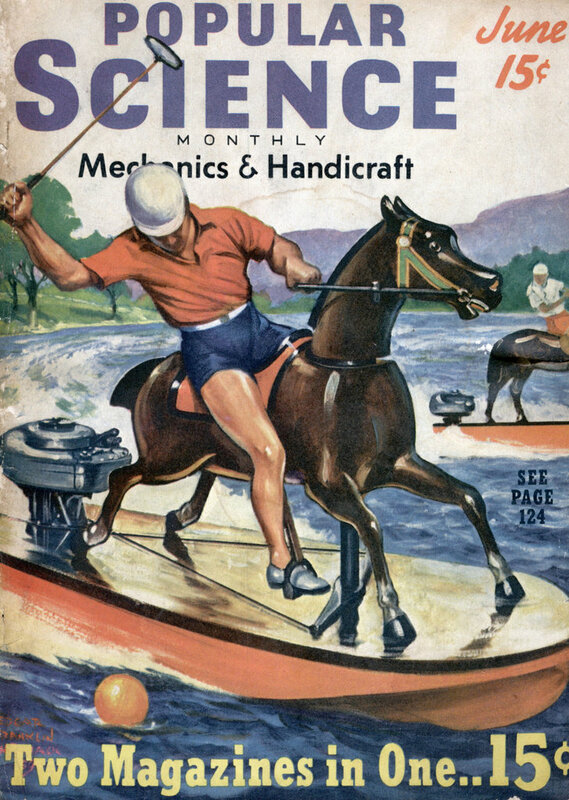 Below, some of his finned pupils are shown “jumping” through a hoop. For those of you who haven’t seen yet.